A modern and clean creative agency website, primarily to showcase videography and photography work commissioned by established worldwide brands. Large clear images and a bold use of colour offset a mostly black and white UI. Weareshuffle are a creative shop and production house based in Winchester. 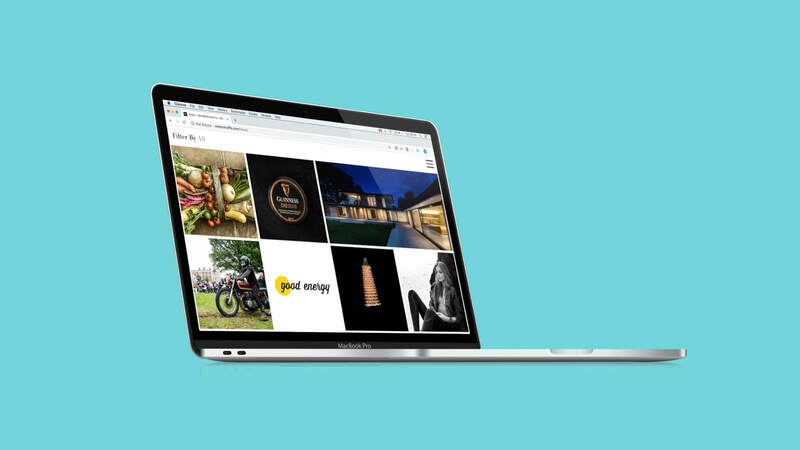 They wanted a distinctive agency website to showcase their photography and video work for clients such as Barbour International, Land Rover, Triumph and Bench. It had to be simple enough for them to update on the road, with separate sections for their completed work and studio news. Starting with some initial design ideas that had been put together in-house, I worked closely with the team at weareshuffle to create a site that showcased the full range of creative work that they produce. They wanted their website to act as a hub for their videography, still photography and branding, so it had to be versatile and adaptable. Although we agreed the colour palette for site framework was to be kept very neutral, I suggested including the ability for weareshuffle to add ‘brand colours’ to each piece of work that they update. These ‘brand colours’ are used across the site to highlight certain elements, and to further cement the brand identities of the weareshuffle clients. To make the weareshuffle site as easy as possible to update I created custom post types for the ‘work’ and ‘news’ pages, so that they can quickly see what they have published on their website and where. 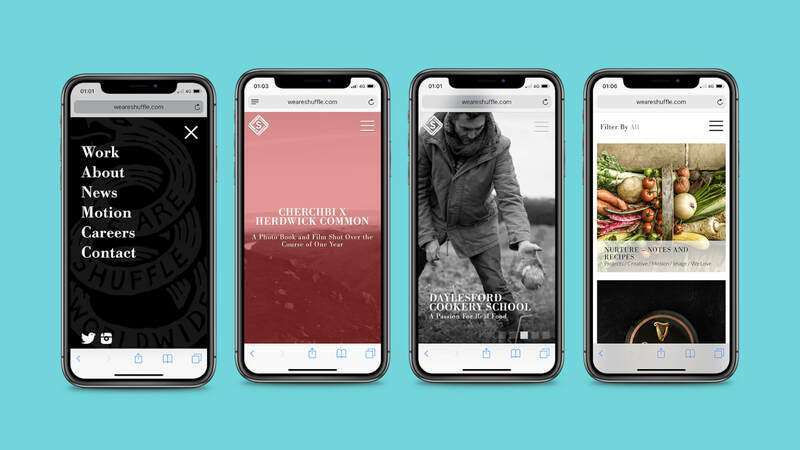 As the team at weareshuffle would often have to update their site from the road whilst travelling between shoots, it was important that their site look and function as well on mobile and tablet as it does on desktop. Wherever possible the desktop design was left untouched. 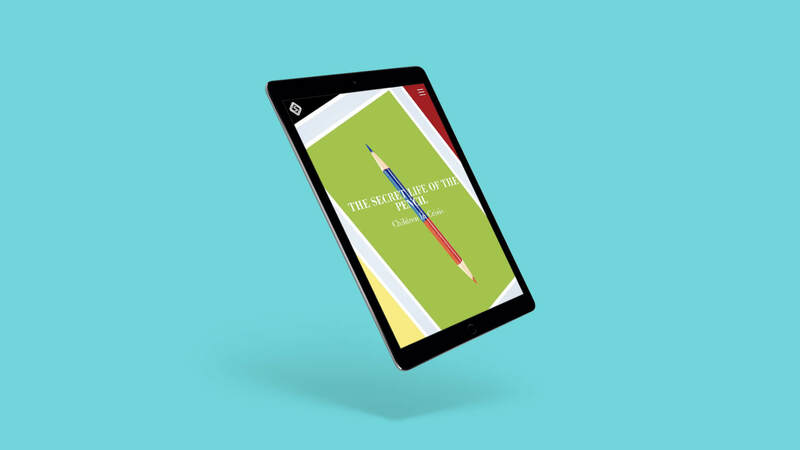 Anywhere that this was not possible I ensured that the designs degraded gracefully, so that the mobile and tablet versions of the site look and feel premium, to match the brands that weareshuffle work with everyday.